Har du spørsmål til December Hotel? Goodstay December Hotel tilbyr også mange fasiliteter for å berike ditt opphold i Jeju-øya. Eiendommen har mange fasiliteter på eget område som kan tilfredsstille selv den mest kresne gjest. Opplev romfasiliteter av høy kvalitet under oppholdet. Noen rom har også flatskjerm-TV, trådløst Internett (gratis), røykfrie gjesterom, klimaanlegg, oppvarming for å hjelpe gjester lade batteriene etter en lang dag. Eiendommens mange fritidsaktiviteter sørger at du har nok å gjøre under oppholdet ditt. Goodstay December Hotel er et ideelt sted for reisende å overnatte, når de søker sjarme, komfort og noe praktisk i Jeju-øya. Forespørsel om ekstraseng kan gjøres direkte til eiendommen. Det kan påløpe pristillegg. Gjester 8 år og eldre regnes som voksne. Ekstrasenger avhenger av romtypen du velger. Vennligst kontakt eiendommen for flere opplysninger. 10’minutes distance from airport by bus number 365. 2 minutes distance walk from sammu park interchange bus stop. Staffs are perfect and friendly and very helpful. Definitely will stay again when visit Jeju next time. Score 10/10 for this wonderful hotel. Old fashion look but well maintained. Has a bathtub which was excellent. Receptionist and a Johnny (Mr) was friendly and helpful. Next to BHC chicken and etc. Recommended if you need to be near to airport. We are very happy with the service provided by the night shift staff. He was very informative and helpful. He even helps us to park our car when we reach the hotel. My uncle's wallet was left in the room when we were outside, however the cleaner didn't take a single cent from the wallet. I would give 10 out of 10 to this hotel. Pros- Fairly good arrangement and courtesy made by front desk staff (Johnny), tiny details in room made it a bit lively with TV which have many channels, rooms are adequate for the purpose of resting and sleep over, uses centralised heater and split unit aircon Con- A little bit run down but still well maintained, mosquitoes found in room(mosquitoes spray provided). The hotel is in perfect location for the Airport limousine. It's a small hotel but it's down a side street so nice and quiet. I was able to sleep very well with the comfy bed and pillows. Bathroom was a good size. The hotel receptionist was very helpful to me when I arrived. I asked for directions to Jeju Tamna Festival and when I came back down from my room he had it all prepared for me which was great! 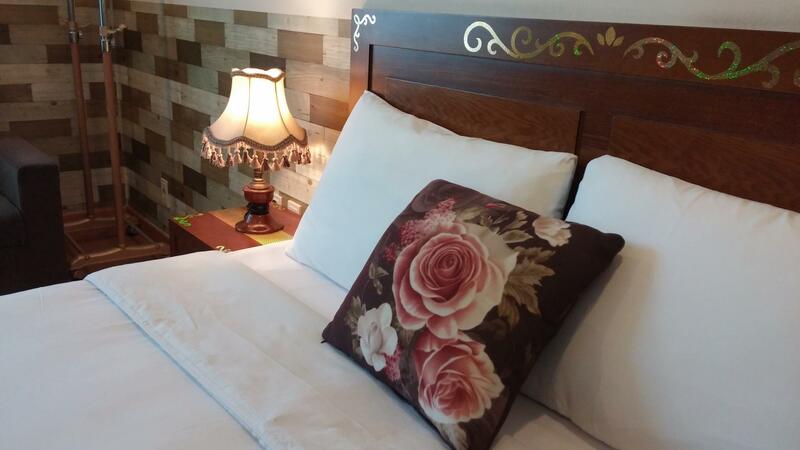 Room is very clean, the room decoration & design makes you feel like you are home, friendly staff, free parking, decent bathroom , near to airport. The hotel located slightly inside a narrow street, but is fine for me. Overall Good! Excellent Location as close to lots of branded shops and restaurants. 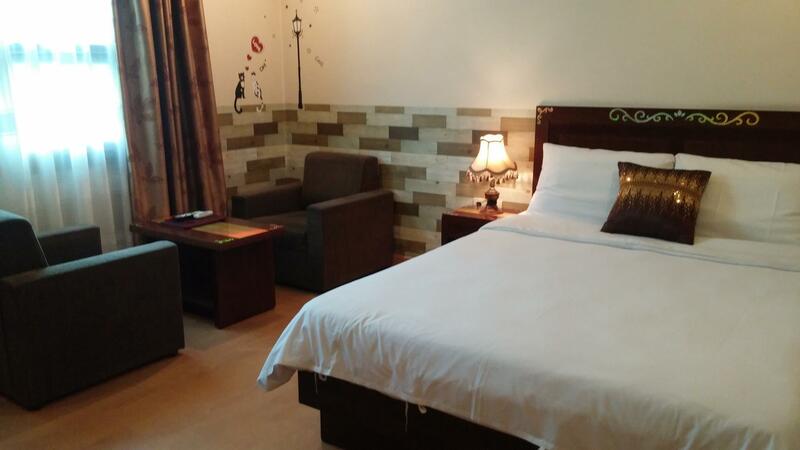 Room was excellent and bed was comfortable. Should have stayed for more than 1 night to explore jeju city centre and the surrounds. Perhaps next trip. Convenient location and the staff is Super Friendly and helpful. Room comes with lotion, hair gel and etc. Highly recommended for all. Very sayisfied. Five Star Service. The hotel staff very friendly and helpful. They will explain in detail for you whatever you need a good restaurant, shopping area and direction. They also help us prepare a small note with some Korean word to show local people who not understand English. It is very useful for us. The room is very clean and large. We definitely will consider to stay here again if we back to Jeju. Check in was easy. Johnny helped us find restaurants nearby. Room and bathroom were clean. A/C started out slowly because room was warm but it was plenty after awhile. They did not allow a 30-minute later checkout (12:30) but did hold our bags until we were ready to go to the airport at 12:30. December Hotel had a great location close to the airport with parking that was suitable for my rental car. The English-speaking staff was very helpful and always made sure I had a map and recommendations for the area. My free upgrade was a lovely surprise too. The tub was great for a hot bath after a long day. 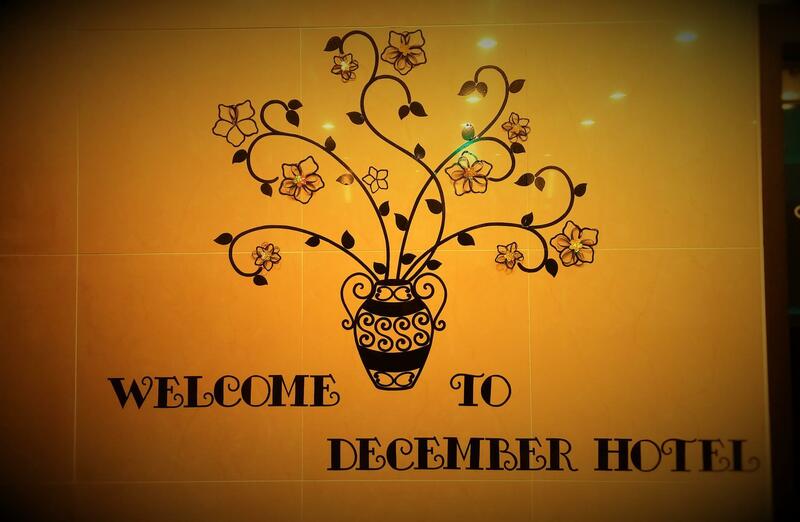 I would definitely recommend the December Hotel for anyone wanting to be close to the airport and within an easy drive of Hamdeok or Hyeopjae Beach. 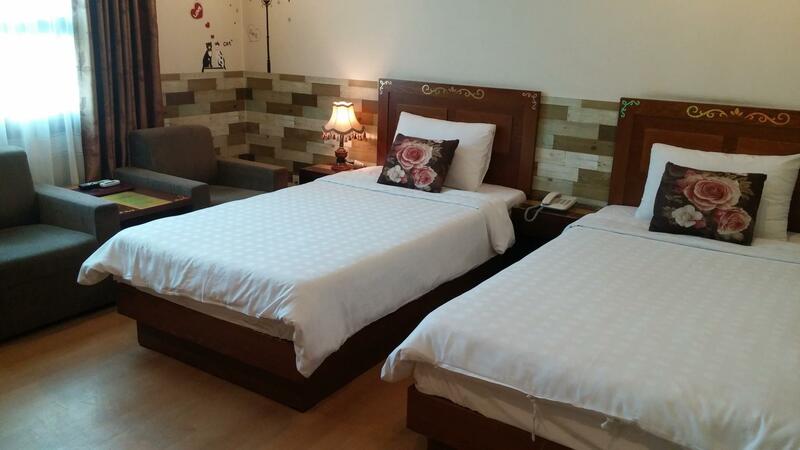 Hotel is located just 10mins away from the airport & is in the middle of a busy business district. You can find various restaurants & korean skin care shops all around. The staff is very kind & speak good english, you can even ask them for recommendation on what to eat around the hotel. One of the staff is very friendly to offer services like luggage keeping after check out, parking in the hotel, food recommendation, etc. And he is able to speak in English (and maybe Chinese as well). Besides, the hotel is near to airport, can be reached by bus. Very clean and decent space for two or even three people. Heard that it is easily accessible with public bus service but did not try out as the weather was wet during our stay(inconvenience to explore) But if you don't mind walking, there are quite alot for you to explore around. Front desk staffs were helpful to draw out map direction to the place you wanna visit. The staffs are all very friendly and helpful. They speak English too! Walking distance to the shopping area. It was a nice clean hotel very close to the bus stop and it’s not far from airport – only the second stop from the airport if you take the express bus. The shopping and eating district is only 5 minutes away. Will stay again if I come back to Jeju. 2 reisende syntes denne omtalen var nyttig. Hjalp den deg? Helpful front desk staff, the front desk staff can speak very good English. 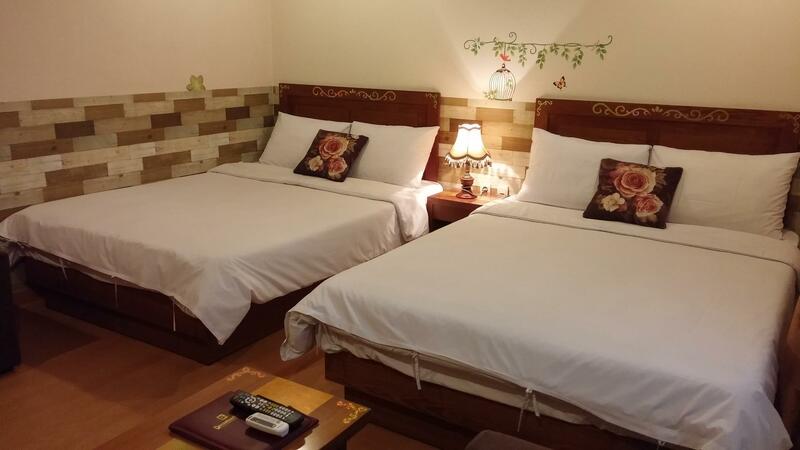 This hotel can be reached by bus (Bus no 600 from airport, only 2 station from airport). 5 min walking distance to Lotte Duty Free Shopping Mall. Clean, cozy & comfortable room. Can find most of Authentic Korean cuisine nearby.